It is early morning and it is Valentines. It is early morning and it is Valentines and I am trying my very best not to be the grumpiest, old and solo living creature on the planet. I have been for the past years! This day this year, I am changing gear and is trying to rewire my nutty brain. I chose not to be bitter. I am not the rebel heart this year for I chose not to maltreat those who loves celebrating this day. I was a success of not wearing all black today. And I actually was able to control my emotions of not kicking and smashing the Valentines heart designs in my gym last night! Though living solo and celebrating Valentine’s today solo, I would like to put my bearing and my outlook on a very positive note. I will treat this year’s celebration on a more amiable light. Because of this, let me greet everyone who happens to read this post a very Happy Valentines! I hope you stay in love and celebrate this day all throughout the year! Ayoko magpaka-ampalaya ngayong taon, para maiba naman! Today is Valentine’s Day and this “awe-mazing” song just smacked right between my ears. It obviously is not a cupid love song, yet this fantabulous pop track simply represent how still positive I am amidst this dreadful day. The lines of this applause-worthy song that truly hit me denotes strength and independence. don’t need no one to rescue me. I like this song simply because I have never been a believer of self-pity. Self-pity is for people who have too much time on their hands yet they wait for miraculous change to befall them. As for me. Instead of dreaming miracles, I have long learned to make my own. Today is Valentine’s Day. It is but appropriate to write something about love, fidelity, infatuation or even lust. Instead, I’m opting to post a song that is not about sweet crazy love neither bitter broken love. It is a song that is in between. The composition is so good it can be a song for the hopeful (who wish to revive their feelings and learn to love again) or the hopeless (who wish to move on and learn love again). For sure, considerable numbers of people today are trying their best to rekindle their affection towards the person they once was fascinated with or are trying their best to find a way to get out of a ruptured relationship. As what the song says… it is a love that’s not broken just “bent”. 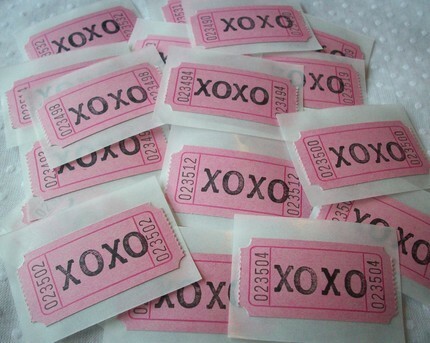 Love is like a raffle stub. The more entries you send the more chances of winning!!! I hope you win the heart of your beloved this Valentine’s Day. It’s not the day you run away from love, it’s the day you track it down, tie it up and take it home.